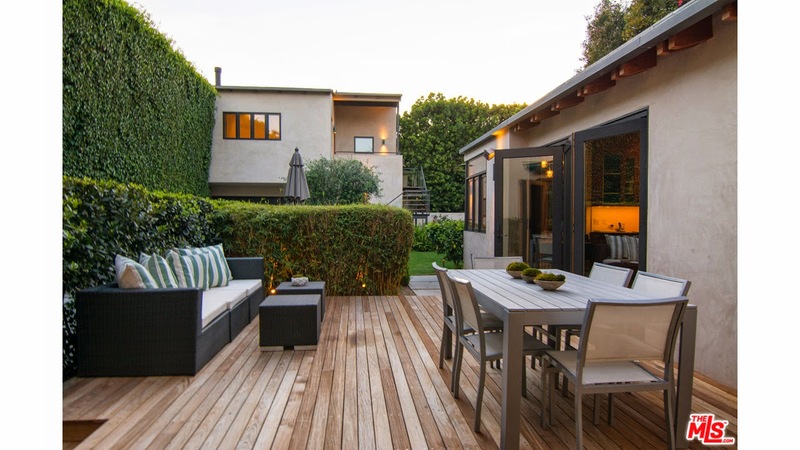 The Westwood Real Estate Market Blog: What Did That Westwood Little Holmby Home Sell For At 733 Malcolm Ave? What Did That Westwood Little Holmby Home Sell For At 733 Malcolm Ave? The Westwood Little Holmby home at 733 Malcolm Ave., LA CA 90024 lasted about 13 days on the market before accepting an offer on 8/05/14. This property had a previous listing period of approximately a month while it was still tenant occupied. It may have even entered escrow briefly during that listing period as well. The home returned to market, once the tenant vacated in July, and sold very quickly. Remodeled in 2009 by Warren Wagner, www.w3architects.com, this home is completely remodeled and in move-in condition. A few of the cool features of this house are the 100+ year old wood floors shipped from a barn in New England, solar-powered radiant heated floors, guesthouse over the garage, and the entertainer yard with a patio and pool. On 9/03/14, 733 Malcolm Ave, closed 1.3% over the asking price at $3,495,000 |$851 $/sf|. According to the MLS, the home is a 5 bedroom / 6 bath, 4,107 sq ft of living space on a 8,217 sq ft lot.